If you live in the Midwest, the Pacific Northwest or Canada, you probably experienced a tough winter. Snow fell like crazy and the temperatures plummeted. Cars didn’t start, flights and trains were cancelled, meetings were postponed. Even mail wasn’t delivered in some places. 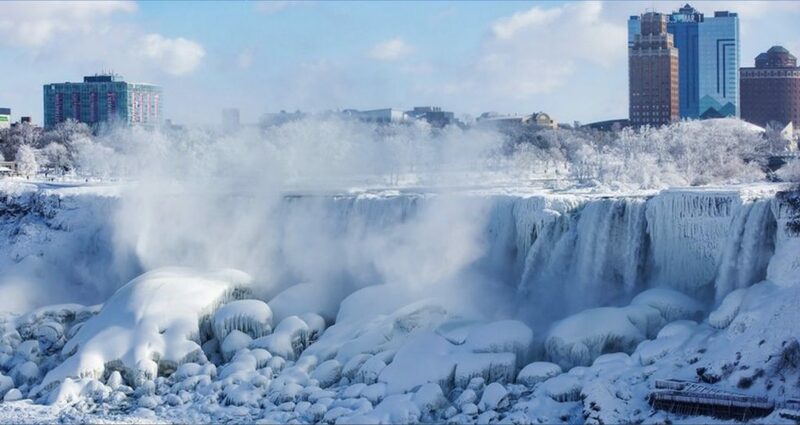 Niagara Falls froze over, as shown above. That’s rare. And some notable factoids circulated: Did you know that Chicago was colder than Antarctica and even… Mars! In my area across from upper Michigan, we got more snow in one day than any day in the past 50 years. And did it ever pile up. 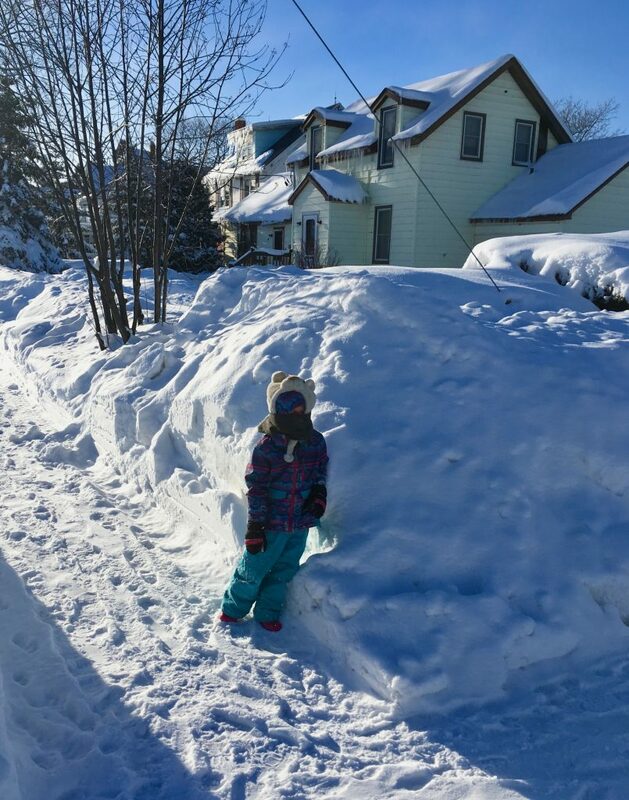 Here’s a picture of my 5-year-old standing beside a typical snowbank. She’s had nine days off school so far and, as I write, she’s off again today, downstairs playing with her Legos. All these inconveniences have put the term “polar vortex” on many people’s lips. What is the “polar vortex” anyway? The term is a recent addition to the popular vocabulary. Weather reporters started using it within the past five years. Essentially the polar vortex is a swirling mass of cold air that’s always present above the Arctic. It tends to expand during the Northern Hemisphere’s winter and contract again in summer. Every once in a while, it dips down to reach much further south, as it did this year. What does this have to do with white papers? I’ve been thinking that the polar vortex has some profound connections with white papers. First of all, it’s a great topic. Any effective white paper starts with a problem (also known as a “pain point”) that is causing many people to suffer. That way, a big part of the audience can identify with the subject. Any topic that’s in the news will help a white paper jump out from a list of search results. Second, the topic is relatively new, so not many people really understand it. And it’s relatively complex, or at least puzzling. 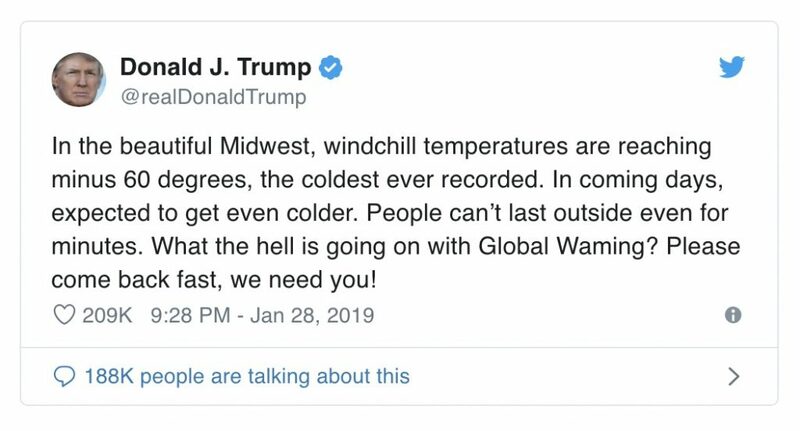 After all, our cold snap seems to fly in the face of climate change, especially when we think of its older name, “global warming.” How come this winter is so cold when the whole planet is supposed to be getting warmer? Attention-getting typo aside, Trump’s Tweet points to an interesting aspect of this topic: It seems contradictory. We can’t easily grasp why it’s happening. This is where a good white paper can dive into a topic that affects many people, examine its root causes, and provide some useful explanations that help readers understand the issue. The very best white paper sponsors have spent a good portion of their working lives grappling with an issue and coming up with a solution that addresses the root cause. Or they have tips to share that will help people cope with the problem better in their own businesses. 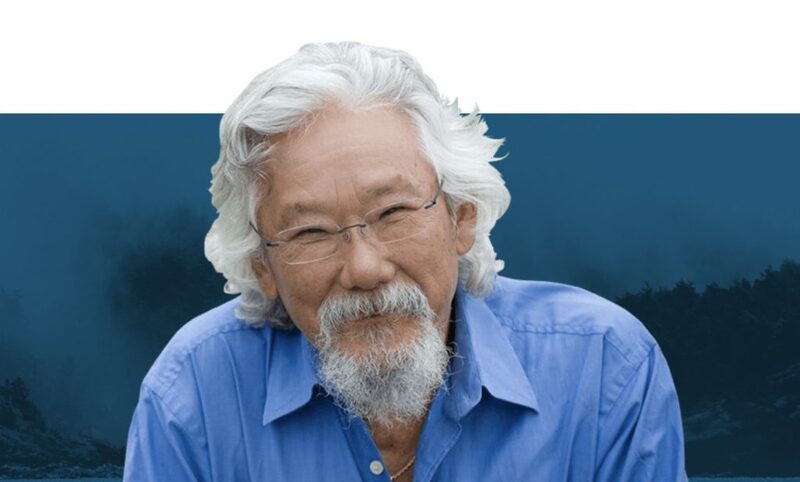 In fact, as we were preparing this post, the David Suzuki Foundation jumped in and did just that. In Suzuki’s most recent blog post, which could easily be the mid-section of a white paper, he connects the dots between the polar vortex and global warming. He explains the difference between climate and weather. Then he points to studies that show how global warming may cause the jet stream of air moving west to east across North America to take some wild swings, which enable the polar vortex to break through. This could mean we’re in store for both hotter summers and colder winters. And these weather extremes may stick around for longer. Once readers understand why something is happening, a good white paper gives them some useful tips on how to deal with the pain or make it go away altogether. 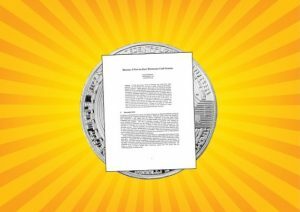 Suzuki’s piece is a blog post, not a white paper. He can’t single-handedly solve global warming and his focus isn’t on giving you tips on how to cope with the weather. But he does offer a simple, strongly worded conclusion that clears up the contradiction. And with that, he gives a definitive answer to a question that millions of people have been puzzling over. By making the links clear between climate change and the more extreme weather we are experiencing, he’ll hopefully inspire millions of people to start taking action toward solutions. The piece has been re-published at least four times and the interwebs are burning up with articles in a similar vein responding to Trump’s Tweet. So there you have it: The polar vortex is extremely relevant when it comes to thinking and talking about white papers. So what advice can we draw from this? 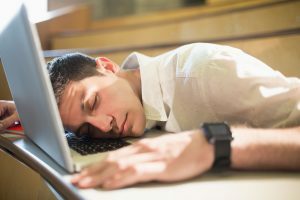 If you want to create a white paper in your company, first clearly identify the “polar vortex of a problem” that’s plaguing your clients and prospects. Then figure out how your company solves it. If you want to find clients, look for companies that think deeply about the problems their clients and prospects face and have something useful to say about them. Want to engage in conversations on topics like this more often? We’re starting That White Paper Mastermind Group, a peer-to-peer mentoring and support group for white paper writers and those who work with writers to create white papers. Members will have the chance to take part in a once-a-month phone call with Gordon Graham, That White Paper Guy, as well as access to a monthly pre-recorded Q &A. And we’ll be adding more goodies as we go. Now is your chance to join at the “pilot project” price of only $15 USD per month. Want in? Please e-mail angie@thatwhitepaperguy.com and we’ll tell you all about it. This was a very good article comparing the polar vortex/weather to a white paper. I learned more about the polar vortex (even though I’m livin’ it here in New York State. No school here today!) 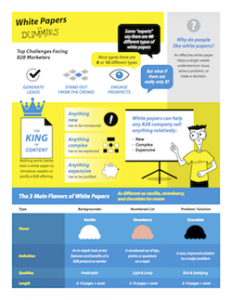 than I knew before, and it gave me a clearer idea of how to write a white paper when I get one. 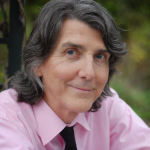 I learned, initially, from a class in The Writer’s Den, but haven’t written one for a client yet. I need to get one done as a download on my website, but I have just enough client work to keep me busy, especially when there is the polar vortex to contend with. Shoveling, trying to keep water thawed out and my animals fed and watered, etc. LOL! Hey Debbie! Great to learn a little more about you. Yes! The weather is slowing everything down here too. Not to mention the fact that running a business and a household (and a farm?) can be overwhelming.